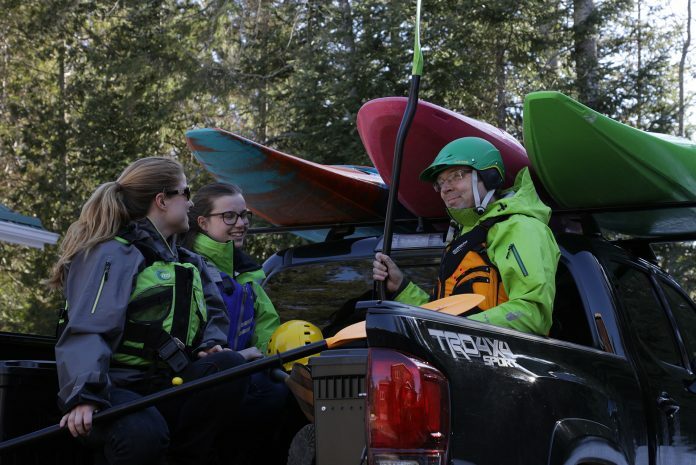 When I first reviewed the TRAK kayak over a decade ago, TRAK was an audacious startup with a knack for marketing but little experience in business or paddling. 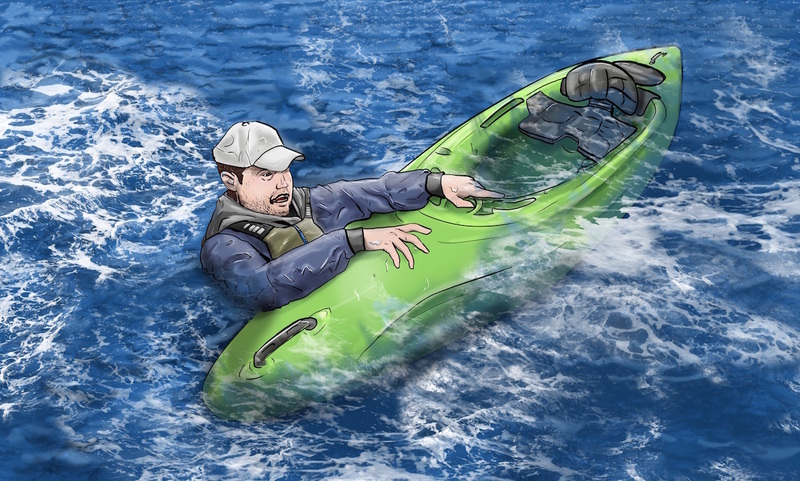 It set out to change the game with a unique gimmick—a hull with jacks in the folding frame, letting the paddler change its shape on the fly. Why would I want a shape-shifting watercraft, I had wondered. And if I really wanted a folding kayak, wouldn’t I eschew TRAK for a company with a track record? The kayak itself was pretty neat, but I didn’t expect to hear much more from its makers in the ensuing years. Fast forward to 2019 and the landscape has transformed. In the folding kayak space TRAK Kayaks is now the established brand and natural heir to the stalwarts such as Feathercraft and Folbot, which have, well, folded. The company’s target demographic of baby boomers is at its peak of discretionary time and income and looking to rediscover themselves outdoors. 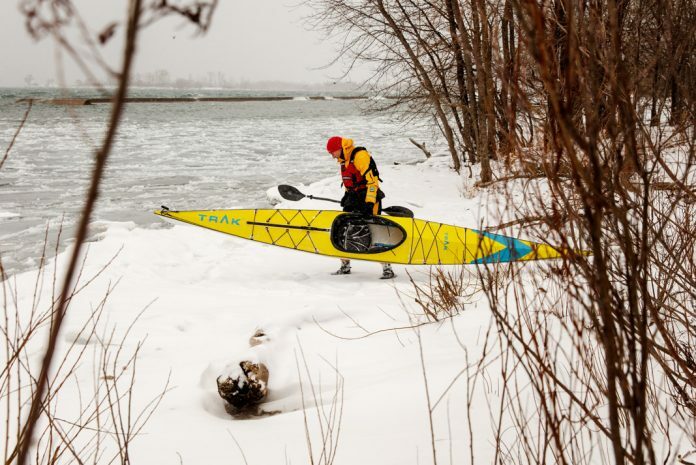 Meanwhile, high real-estate prices, denser cities, lower car ownership and the popularity of inflatable SUPs and novelty watercraft, like the Oru Kayak, are ripening the North American market for folding craft, which have never been a fixture here as they have been in Europe. 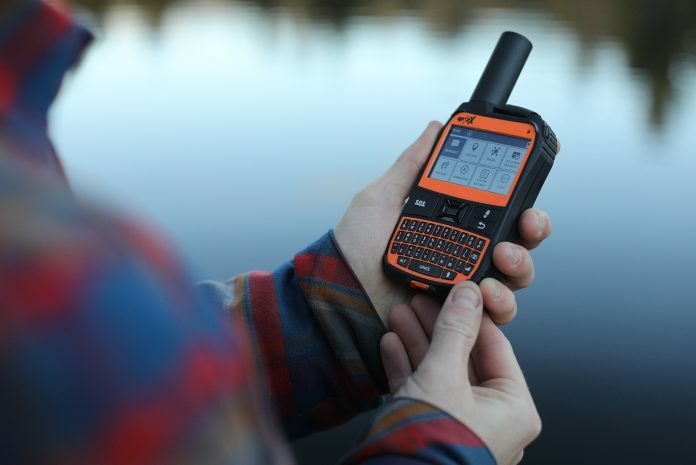 A few years ago, TRAK decided instead of improving incrementally on its original design it would apply all the lessons of its first decade into a completely overhauled 2.0 edition, focusing on ease of assembly, portability and convenience. The company amassed 500 pre-orders through Kickstarter and Indiegogo in 2017. After some unexpected delays, the first batch of TRAK Kayaks’ TRAK 2.0 are shipping from TRAK’s factory in the Philippines. 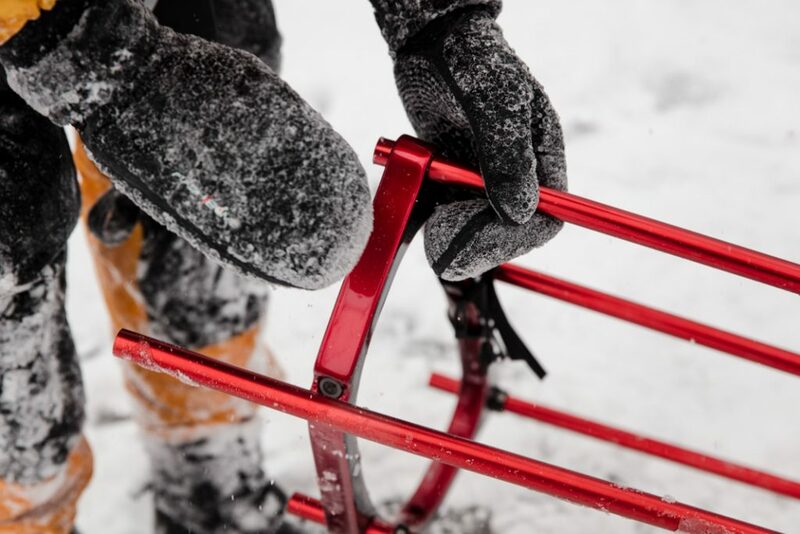 Highlights include lighter materials—upgrading from 6000 to 7000 series aircraft-grade aluminum for the frame and carbon fiber for the ribs—resulting in a weight loss of about 10 pounds and a packed size that’s a foot shorter. TRAK now transcends the folding-kayak niche and is gunning for mass appeal, promoting a vehicle that is transformative in both a mechanical and spiritual sense. The TRAK arrived at my door in a large cardboard box. Setup flows intuitively. The color-coded frame, blue for bow and red for stern, snaps together with shock cords, just like tent poles. Aided by online videos and instructions, my first setup took an hour. Popping the sleek frame together elicited both an atavistic and space-age joy—kayaking’s skin-and-frame deep past mashed up with aerospace technology. I wouldn’t mind reenacting this ritual before every paddle. I felt I’d performed a magic trick or created modern art. The second time I built it waterside in under 20 minutes, half expecting applause, and went back from kayak-to-bag even faster without struggle. The final stage upon launch is to expand three hydraulic jacks in the hull, one on each side and the keel, to tension the skin and adjust the rocker, which changes the waterline length to anywhere between 12 and 15 feet. I simply cranked up the keel jack until the kayak felt right. In a few seconds, I reached a Goldilocks level of maneuverability that normally would have required trying out different boats. The included sprayskirt has an opening with a roll-down waterproof closure for reaching in and adjusting the jacks. The stern is shaped like a skeg, providing for very straight tracking unless you really shorten the waterline with the jack or put the kayak on edge, then it turns instantly. The hard-chine, shallow-V hull has a high-performance feel, with moderate initial stability and very smooth edging, with no flop or point of no return before the cockpit coaming is well underwater. There’s no integrated rudder or skeg, but anytime you’d want one—an extreme crosswind maybe—you can adjust the side jacks to give the hull a compensatory zig or zag. TRAK cites affinity with water as its underlying inspiration and purpose, which their new creation seems to share. I have no metrics to support any of the aficionados’ claims of skin-on-frame outperforming in rough water by mystically absorbing or smoothing out the energy of the waves; however, from personal experience, I wouldn’t be surprised if there was something to the theory. The TRAK 2.0 is a beautiful, smooth ride, gliding easily through waves, while chop tickles my heels through the subtly vibrating skin and frame. Acceleration is quick, especially in a following sea, where it catches waves incredibly fast; the 2.0 is a rocket in the surf, maybe because of its lightness or some unknowable skin-on-frame Zen principle. Apply an edge or a paddle stroke and the 2.0 responds instantly, a trait TRAK attributes to the new carbon-fiber ribs, which makes it stiffer and more responsive overall than previous versions with plastic ribs. Detracting only slightly from the TRAK’s graceful appearance is the boxiness of the hull around the cockpit where the three jacks are, forming a straight section in the otherwise gently curving frame. 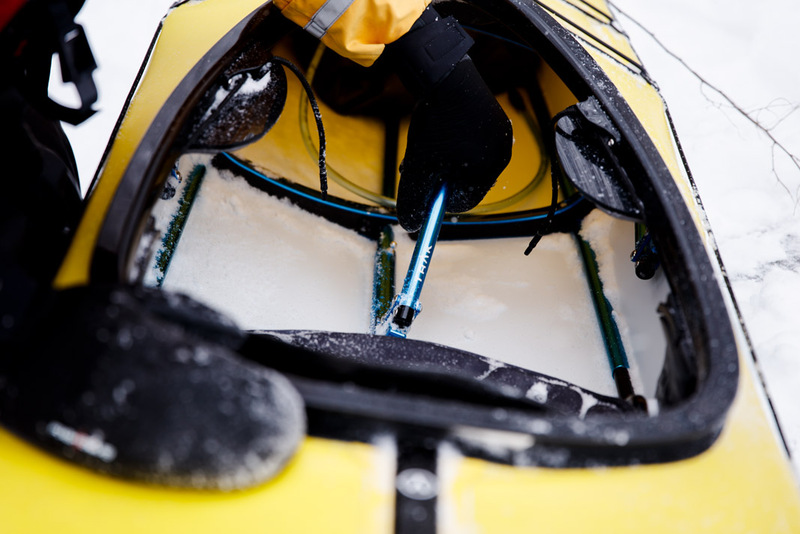 Otherwise, the deck is in many ways sleeker and more beautiful than a hardshell kayak, owing to the low profile of the attachment points for the many bungees and full-length deck-lines; they’re simply sewn into the skin. I wouldn’t be surprised if these attachments are stronger than the plastic fittings on a conventional kayak. TRAK says its polyurethane skin, which is reinforced with an extra layer at the keel, can withstand just about any abrasion or puncture. An unconditional five-year warranty covers the entire craft. Many thoughtful design details show off years of engineering: the robust end toggles are screwed right into the hard plastic bow and stern inserts and are coated with rubber, so they are easy to grab; the large rubber handle on the deck zipper doubles as an extra carrying point; the ultra-comfortable padded seat; and the infinitely adjustable padded thigh braces are available in two thicknesses. Loading the TRAK is tricky because there are no deck hatches, but it can be done. The included two gear and flotation bags hold 55 liters each. 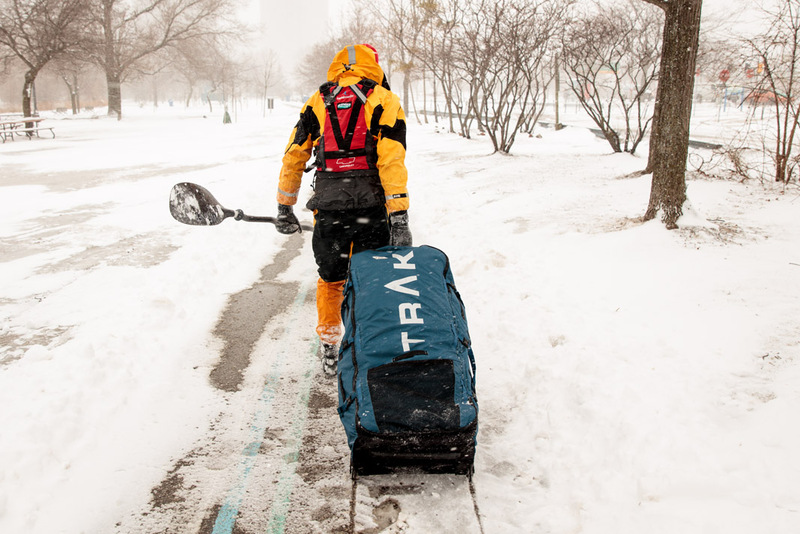 TRAK pegs the payload at about 350 pounds, including paddler, and recommends trips of up to 10 days. At 16 feet, an all-arounder dimension falling squarely between an ocean day/playboat and dedicated tourer, plus a hull that changes shape to accommodate all uses, the TRAK 2.0 really is a paragon of versatility and tradition-meets-technology that will meet most paddlers’ every need. If you’re interested in ordering one, 50 percent down this spring will get you in line for September delivery. By early 2020 TRAK expects to be caught up and ready to deliver on impulse purchases, with free shipping worldwide to make wild dreams possible. Just fly to some exotic destination and order a TRAK to your hotel. Transform and roll out! The redesign of the TRAK will please day tourers and far-flung adventurers alike. This video highlight reel showcases the best of the worst SUP fails you have ever seen. Those who have tried a standup paddleboard before know that there is a learning curve getting used to the balancing. It doesn’t take much to fall off one if you are new to the sport. Paddleboarding can be relaxing and peaceful but it can also be very humbling. This is clearly shown in the display of overconfident paddlers trying the more advance maneuvers like handstands or tree jumping. We are thankful for their efforts. 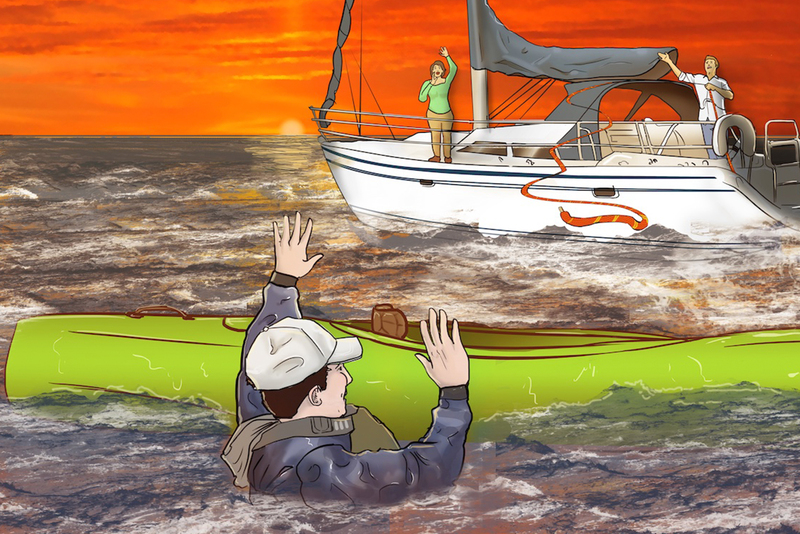 Whether you are a beginner or experienced paddler, you should always wear your PFD. They even make belt pack PFDs so you don’t get those unwanted tan lines. We also wouldn’t recommend your first time on a paddleboard be next to the dock where you could fall and hit your head. There are a few of these cringe-worthy moments on display in the video. If you are looking to purchase a SUP, we recommend checking out the paddleboards in our Paddling Buyers Guide.